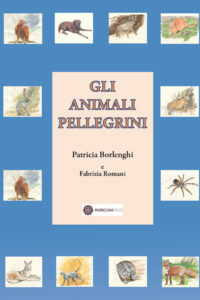 Patricia Borlenghi set up the Patrician Press at the end of 2012. She is the author of several children’s books including Chaucer the Cat and the Animal Pilgrims, Dear Aunty and The Bloomsbury Nursery Treasury and has worked in publishing throughout her career. 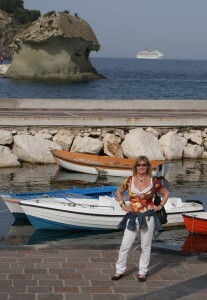 She divides her time between England and Italy. She has written three novels: Zaira, Clarisse and Dorek which form a trilogy. This is an historical novel set in Northern Italy at the turn of the 20th century. 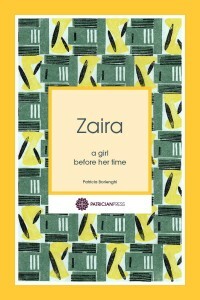 Zaira is a young, determined girl, seeking a new life away from her restricting peasant farming background. However things do not go according to plan when she meets Leonardo, a rich landowner and becomes companion to his delicate wife, Livietta. When Zaira gives birth to twins their lives are changed forever. 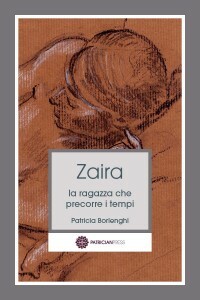 The new, revised Italian edition of Zaira is now out in paperback and can be ordered direct from this site. A London-born woman’s life changes drastically after her husband dies suddenly and she develops breast cancer. 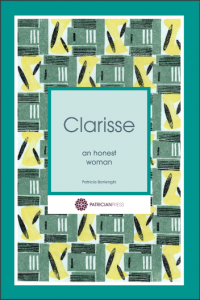 The novel recounts her life in France and move to East Anglia; the people she meets; her reactions to death and illness and her refusal of conventional treatment. The novel ends with her journey of discovery to New Zealand. Dorek has no sense of achievement in life. As a boy, he was obsessed with a girl who lived opposite him and finds it difficult to relate to other people. This is a result of his deafness and his uncertain sexuality. He relies on his best friend, Mungo, for companionship. Then unexpectedly his fortunes change and through learning about his family history and the surprising connections he uncovers, Dorek finally finds fulfilment and an inner peace. This is an ingenious and unique alphabet in English, French, German, Spanish and Italian. 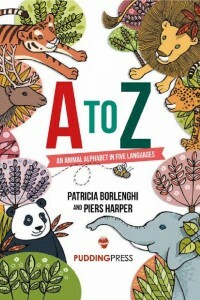 In this book, the names of the animals all start with the same letter in each language. The five different languages always appear in the same order on the page and each language has its own design style. 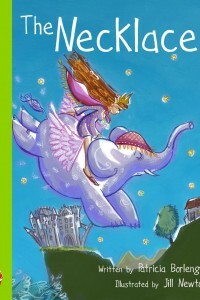 This is a modern fairy tale about a princess with a difference. Princess Lucy is the most beautiful girl in the world but she isn’t interested in finding her prince charming. She prefers to dabble in magic and witchcraft with her beloved friend, a witch called Willow. A group of animal pilgrims are making the long journey to visit the shrine of Saint Francis of Assisi, and Chaucer the cat suggests that they tell each other stories to make the trip more enjoyable. The everyday life and diary of a food lover describing the enjoyment of simple meals and wine. 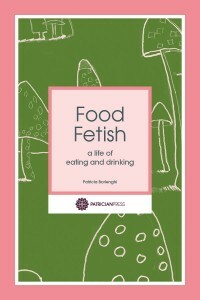 It is mainly set in Emilia Romagna in Italy but there is some background information about the author’s food-dominated childhood in London and other events. The book contains recipes and illustrations. 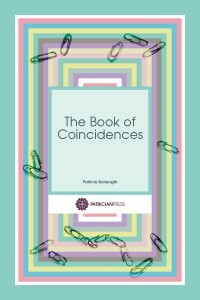 This book is an autobiography; recounted as a collection of the coincidences in the author’s life. The author describes how many of her friends and members of her family link up, often with more than two connections between them. Interspersed with these anecdotes are further biographical details about her life and work, both as a publisher and a writer.